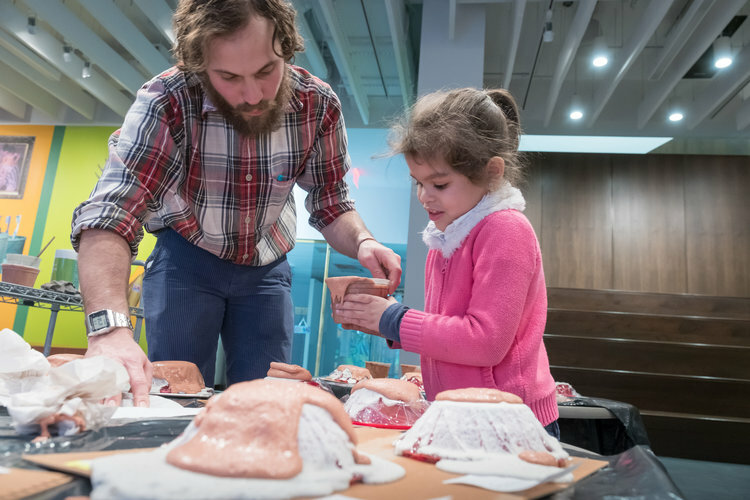 All educational partnerships at the Sugar Hill Children’s Museum of Art & Storytelling are grounded in a pedagogy of Reggio Emilia inspired learning through play, socialization, and organic discovery. Storytelling, play, language and collaborative making are the fundamental elements in our educational practice; encouraging students to imagine, create and re-create their own stories in response to their immediate worlds, in voicing their future visions, and in direct response to specific content. Students create work that is multidimensional, employing a variety of interpretations through the visual and performative arts. In pursuit of supporting young people holistically, educational programs are also conceptualized with consideration to the goals of the Common Core Learning Standards and the Domains of Early Childhood Development, and are guided by the National Standards of Art Education. <general text about partnership - what did they do?> What is a soul? 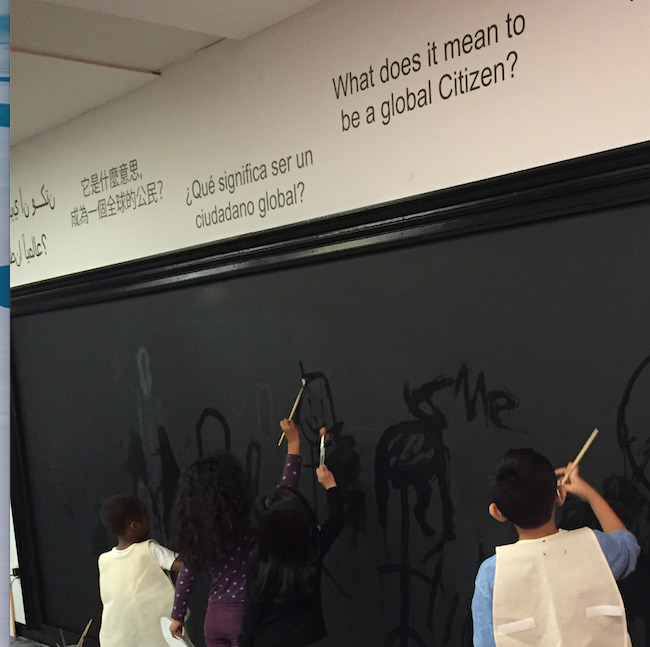 In this gallery exploration, students are guided through a visualization process, followed by an inquiry based discussion reflecting on this question. Students are encouraged to offer their responses verbally, which is recorded and sent to their school after the tour experience. Time allotted, children create visual representations of their ideas using collage techniques with materials inspired by the aesthetics of the exhibition. For more information about our School Tours program, please contact Tony Gonzalez at 212-335-0004, ext. 15 or via email at tony@sugarhillmuseum.org.